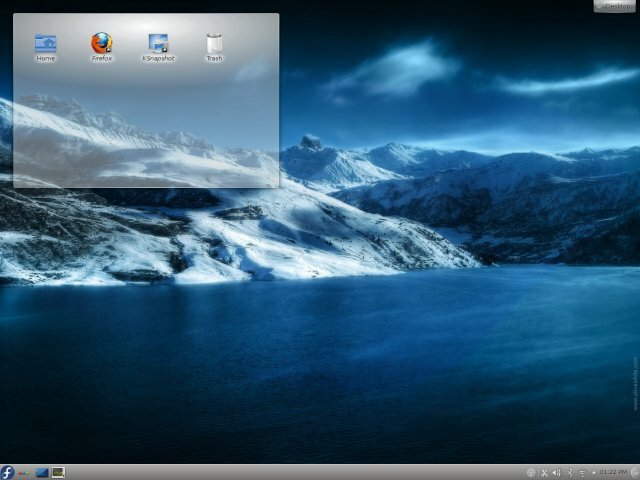 You have read my Fedora 16 Gnome 3 review. You know how I felt. But I may have done Fedora a disservice by focusing most of my anger on the desktop environment. Therefore, it's only fair to take Fedora for another spin, this time adorned with the KDE desktop. Today's review will be a retest of my experience with Verne from a few weeks back. 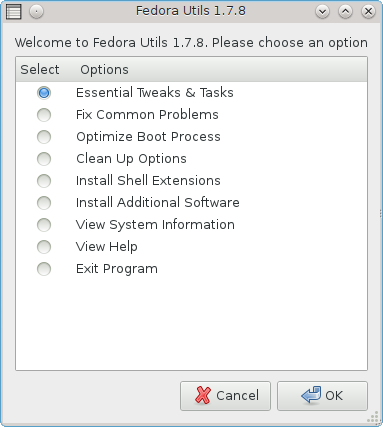 We'll see whether some or all of those problems I encountered before are due to Gnome or perhaps due to the underlying technology called Fedora. Follow me, if you will, and try to keep an open mind. 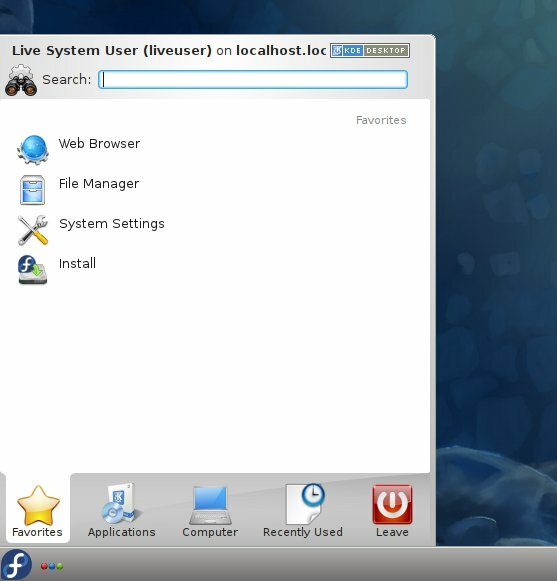 The live desktop looks dandy. Blue has always been the best color for KDE4, especially with some of those semi-transparent element. The Nautilus wallpaper makes sense here, unlike the Gnome edition, as the little submarine element is balanced well by the desktop plasma and the bottom panel. Again, in stark contrast to the Gnome edition, the network worked fast. Connecting to Wireless access points is instantaneous, Samba shares are quick and sprightly. The desktop is extremely responsive, as it should be with Fedora. 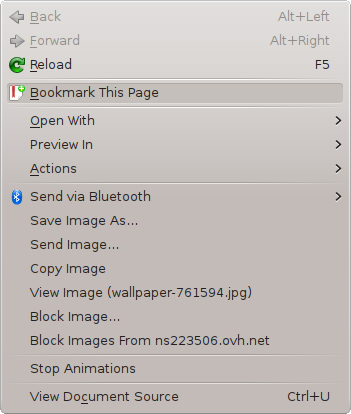 KDE4 on Fedora is fairly stock material, with few tweaks, but it behaves well. Font quality is reasonable, the silver-gray color is calm yet powerful and the icons are sharp. If you feel like exploring the interactive side of the desktop, the combination of applets and widgets should provide you with a lot of entertainment. For example, the integrated search view is airy and inviting to use. 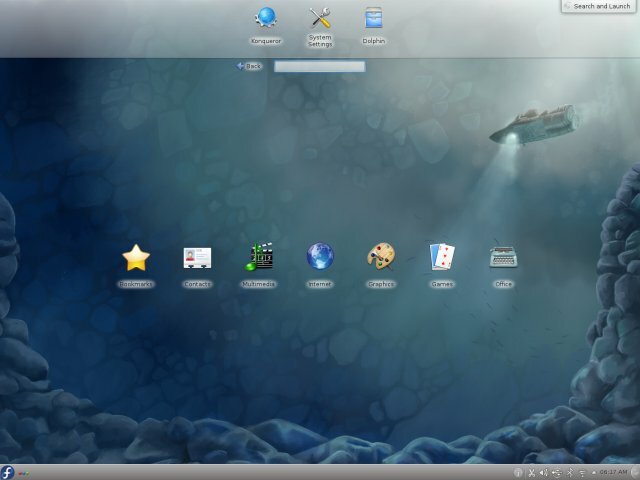 The system menu comes in two configurations, either the tabbed, modern version of the classic K menu, which can be switched on by right-clicking anywhere on the menu, but you can also activate the Lancelot launcher, which is similar to the Linux Mint menu. Unlike openSUSE, which we tested twice in the past week or so, the menu has no bugs and shows all entries where they belong, including Amarok and other programs you find there. The default browser is Konqueror, no Firefox, and it's a decent product, although a little weird. It has its own unique font and rendering. For instance, Youtube looks nothing like you would expect. Then, there's the lack of address bar search, i.e. if you type in sentences there, the string will not be forwarded to your search engine of choice, it will most likely be declared as an invalid protocol, which is fairly annoying and counter productive. The browser also comes with a built-in adblocker. My live session impression stops here. Fedora does not have proprietary codecs for Flash and MP3, so fun will have to wait until after the installation. However, so far so good. Not a single crash, either kernel or application, unlike SUSE, oh how have the tables turned, nor any SELinux alerts. On top of that, the system looked slick and reacted fast, even on a fairly old T60p machine. I was more than pleased, especially given my Gnome experience. 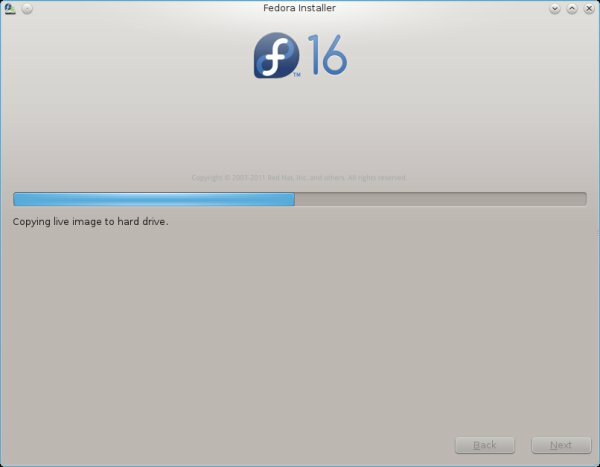 Fedora 16 installation is not very exciting. The installer opens in maximized view, but it can be made smaller, if you desire. The same issues we've seen with the Gnome edition are there, including the territorial politics. No slideshow, the entire ordeal takes only about ten minutes. Fedora ships with GRUB2, marked 1.99, almost official if you wish, and it had no problem dual-booting with Windows 8 already installed on the box. One day is surely not enough time to get a complete impression of what a system is all about, but in my case, it was enough to establish the first contact and get a feel what this distro can do. 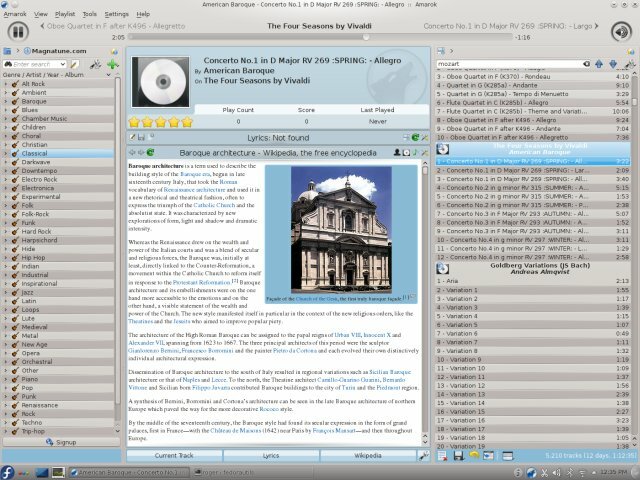 My first task was to grab codecs for music, videos and Flash, so I used Fedora Utils, which we mentioned in the past. 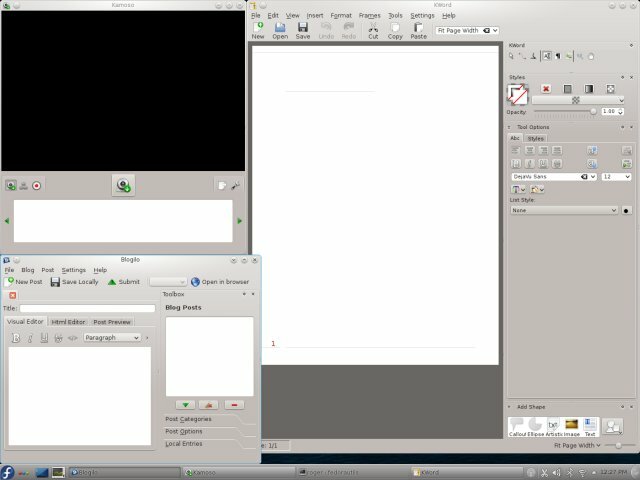 The program looks equally well in Gnome and KDE, so there is no ugly rendering caused by the mix of different software frameworks. It was reasonably fast and efficient, although it did struggle a little with Google software, but more about that later. There were some 250 packages waiting for me. With the codecs and other extra stuff, the total download amounted to some 550 packages, but the entire procedure was rather quick. Apper is fast and does its job well. I have complained how the Gnome edition has a very meager software collection. And this is even truer when you compare to the KDE version. 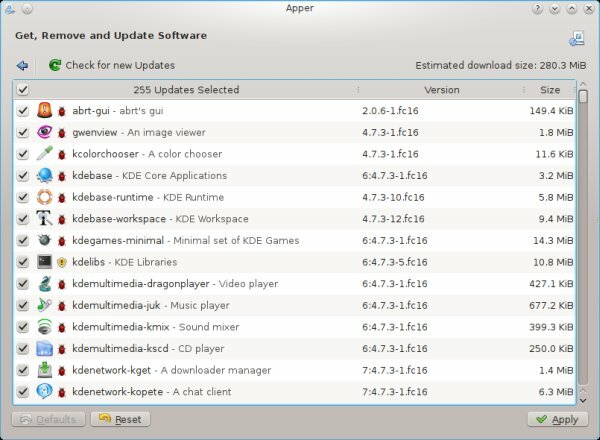 Although both are equal in size more or less, the KDE flavor of Verne comes with a much wider, richer, more balanced arsenal of programs, including a complete KOffice suite, GwenView, Amarok, Okular, K3b, and others. Amarok comes with online streaming and the lyrics plugin, Konqueror can send files to Bluetooth devices, and you get other programs, like Kamoso, dubbed a picture retriever, but it looks every bit like a webcam utility, and Blogilo for spamming the web. Amarok really shines. 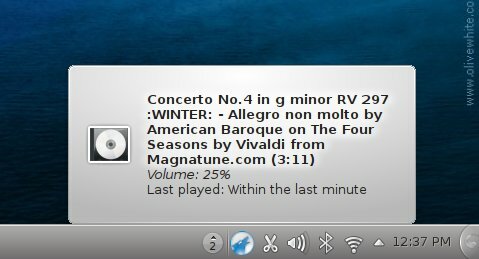 Even before I had the full plethora of codecs installed, I was able to make good use of the online streaming services, listening to some great classical music. And there's the system-tray integration, making the music player slick and elegant. Speaking of Amarok, I soon had the full codec support, including MP3, along with the scrolling Karaoke-style lyrics, brilliant. Flash also worked in Firefox, which I've since downloaded and made my default browser. One thing that stood out was that I could not expand the video to full browser width. The click on the two-arrow button just left of the fullscreen option was simply ignored. Might be a browser thing, might be a Youtube thing, but I've never seen this before. There were not that many. The big ones were absent - segmentation faults and kernel crashes and SELinux vomit. 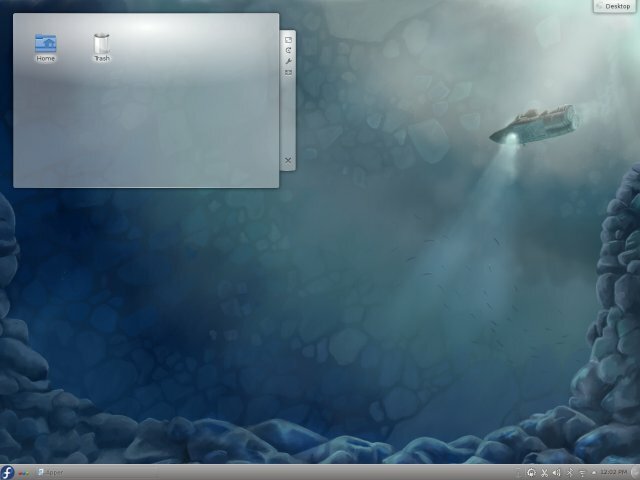 Fedora 16 Verne with KDE offered a blessedly stable experience, contrary to all intuition and past results. 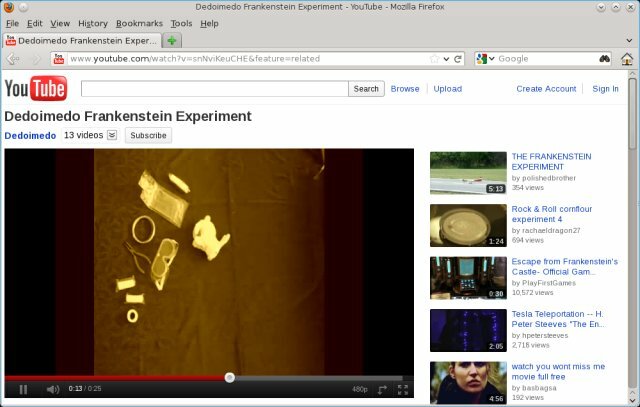 Now, the desktop effects did not work, and let's not forget the weird Flash issue on expanding videos to full browser width. And then, there were some other small quirks that showed up. On a few occasions, the desktop would not respond. On some other, the menu would not open. This would last for a few seconds, but then would be quickly resolved. My experience shows this mostly happened when downloading and updating the system, so there could be the simple old age causing a bit of a CPU bottleneck. It did not kick in for some reason. Might be some specific program or activity caused too many screen interrupts or such, preventing the system from presenting a screensaver or putting the monitor to sleep. The display was dimmed when not in use, though, even when plugged in and not running on battery power. Nothing major, but when using Fedora Utils, yum reported a phenomenal download speed of some 2.8GB/s, which is quite a bit more than what my laptop hard disk can do, so looks like we broke some physical barriers. This was the biggest issue. I was unable to define a printer. Every time I tried to add a new device, I would get the CUPS server error. I did not try to debug much, but this is most disappointing. I believe this might be related to having the firewall turned on. Sometimes. On other occasions, it worked fine. Still, not something I liked. In KDE desktops, you can see your system status and information inside the browser. There's a special link for this kind of thing. In Fedora, it did not quite work. Not really sure why, but it must be one of Konqueror's odd things. And that was all, problems wise. I mentioned the relatively surprising level of stability that Fedora exhibited, with nary a hiccup in the application and kernel layer, but with some weird polished and final touch issues. Suspend & resume worked well. 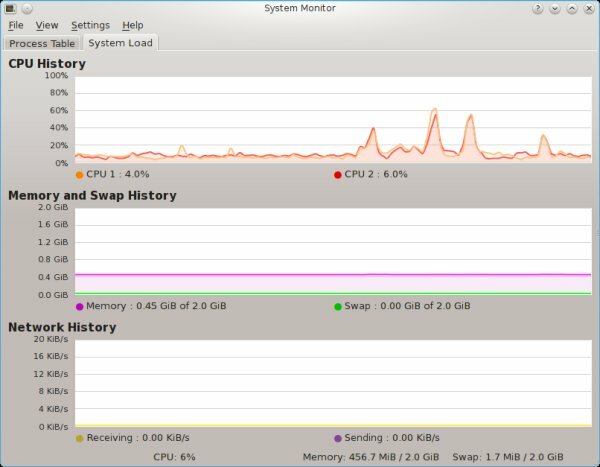 Verne tolled 450MB of RAM on idle, which is similar to most other KDE implementations on top of my 32-bit test box. However, Fedora did offer a markedly faster, smoother, snappier experience most of the time. Fedora 16 Verne WITH the KDE desktop is a surprisingly high-quality product, much more than expected, and this is without lowering the comparison bar to Gnome 3 level. Taking all former Fedora tests into account, Verne is crash-free in all aspects. This is a pleasant change. Then, it looks good, runs fast and can be tamed easily. It is not without fault, and the magic is in the little details, of course. There are some half a dozen small problems and two moderately serious ones, the desktop effects and the printing, which must be sorted out. 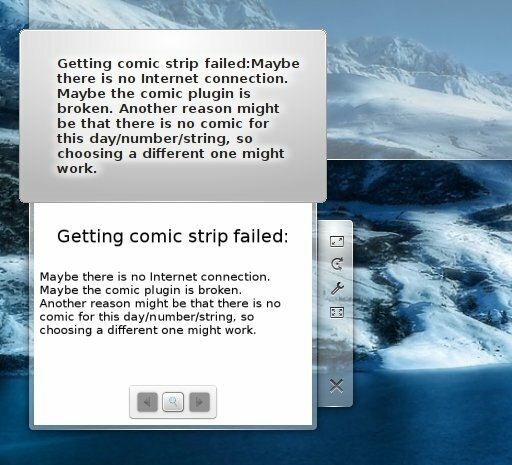 But the occasional freeze, the screensaver glitch, the Flash player behavior, the odd message here and there, and the comic strip widget bugs all remind us that Fedora is after all designed to be bleeding-edge, so issues are expected. They do not turn the desktop session sour, though, but they sure don't make it glorious. Regardless, as far as Fedora goes, being what it is, the latest KDE edition is a rather solid product. It wins in the major categories - look, speed, stability. It loses some points where the spotlight shineth not, and there ought to be focus there, too. Most importantly, there are no cardinal issues or showstoppers. 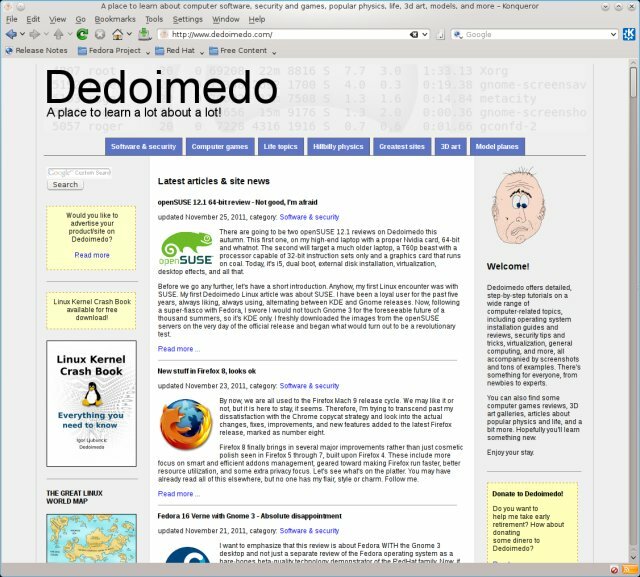 If you're looking for a technology demonstrator type distro with a good balance between speed and stability, Fedora 16 Verne with KDE is a reasonable choice. I would say, 8/10, and that's a lot coming from my biased mouth. But it sure proves one thing, that Gnome 3 is a disaster and that it must not be projected onto the distributions that bravely and yet foolishly choose to bundle their products with it. Bottom line, Fedora 16 Verne, KDE, stable and fast, quite polished, some rough edges, recommended to itchy power users who need a slick platform for work and testing, until they promptly discard it by the next release a mere six month away. Overall, a nice surprise, by Dedoimedo standards. Do try it.